Ever wanted to feel special, like the only reason a company exists is to address your needs and yours alone? 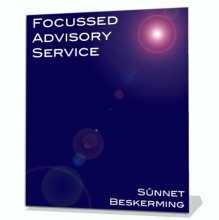 S?nnet Beskerming's Focussed Security Advisory provides that feeling by delivering quality advice that directly affects your business. Buy Now!Extending the capabilities presented in the Generic Advisory Service, the Focussed Advisory Service delivers advanced Information Security threat and trend detection, notification, and mitigation content as it happens - with a unique touch - we specifically include material that directly relates to your systems, networks, and data stores. While some companies and clients might find solace in only knowing about the generic threats and trends in Information Security, you can gain the competitive advantage. You will also know about issues that you have to consider within your own business operation and defence. 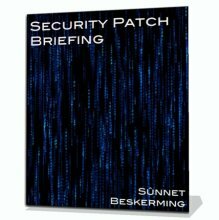 Whether it is the release of a minor patch, or the discovery of an attack that threatens a tool that you are using, the Focussed Advisory Service will provide you with timely, relevant, and accurate information about the real nature of what it is you are facing. The same advanced discovery capabilities as used in the Generic Advisory Service gives you hours, days, weeks, months, or even years of advanced notice before an issue affects you. Delivered whenever an issue is detected and analysed (even if it is in the middle of the night, or on a public holiday), you can rest easy, knowing that S?nnet Beskerming's dedicated staff are busily hunting down and reporting on issues that affect you and your business. Costs are presented ex. GST for Australian and New Zealand clients, and are presented in USD for clients in the rest of the World.